14th January 2019 / by Lucia Y. Today, UX Design is closely associated with the tech industry, websites or applications. Optimizing the user’s experience is not just about a dazzling interface with sweet transitions and colors, but more about the philosophy of the experience you are attempting to provide your customer. This is the core difference between UI and UX. User Interface Design consists of improving and creating the visual and interacting features of your product, while User Experience Design delves deeper into the strategy and processes for how the product should feel and act for the user. How well you provide that experience is what makes the difference between an amateur and an enhanced product. Zangi Private Messenger application for iOS and Android, has a tough market to compete against. Their competition includes tech giants like Microsoft (Skype) and Facebook (Messenger and Whatsapp). The ability to take market share from these companies who have the economies of scale to offer the highest quality product demand requires Zangi to offer a UX experience that will gravitate users towards a lesser known application. Zangi’s UX advantage is its attempt to be the most inclusive and least stressful messenger application available, ensuring peace of mind in terms of your privacy and usability. Because Zangi offers all the features one would want in a messenger application, whether that’s HD voice and video calls, an excellent messenger interface with unique emojis, file transferring and fully encrypted. But thanks to its unique code, this original communication platform that they created guarantees its users a global connection for the least amount of data used, even in poor internet connection or internet speed, with the most secure and private service compared to its competition. 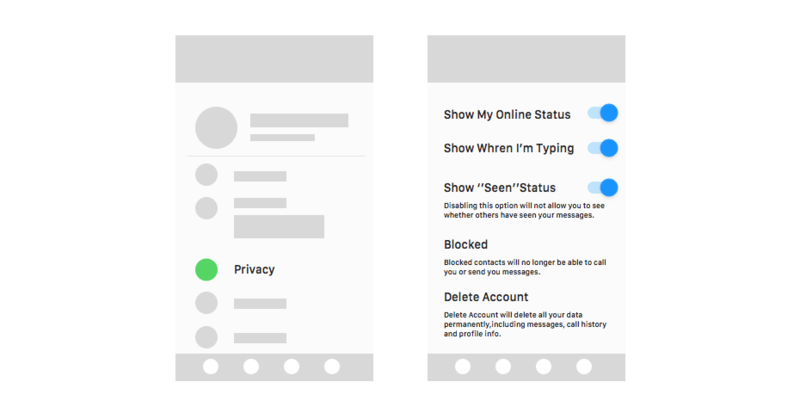 Provided here are a few examples of how our UX design strives to offer users our messenger application’s UX principles of inclusivity and privacy. UX needs to: Have feel-good principles, be reactive, predictable and in control. The feeling of having control over the application you use is a key principle to a positive User Experience design. You can increase this good feeling of control by adding additional options to accommodate environments and preferences. Zangi is keen on encompassing users who are wary of their data usage. Since Zangi is a high performer in slow internet connection areas and signals, it also makes an effort to accommodate users who have limited data to spend. 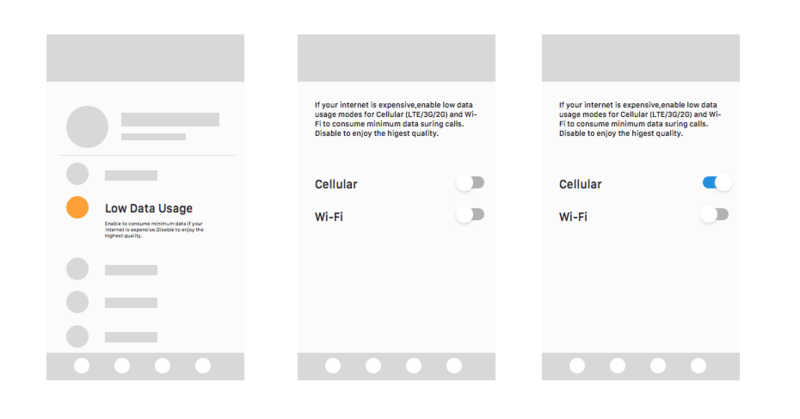 Unlike WhatsApp, which offers one option to use low data, Zangi gives the user the capacity to choose in which internet environment it would like to use less data. Instead of lumping the two internet connections as one, you can make users experience more adaptable and as a result, higher performing depending on their unique situation. 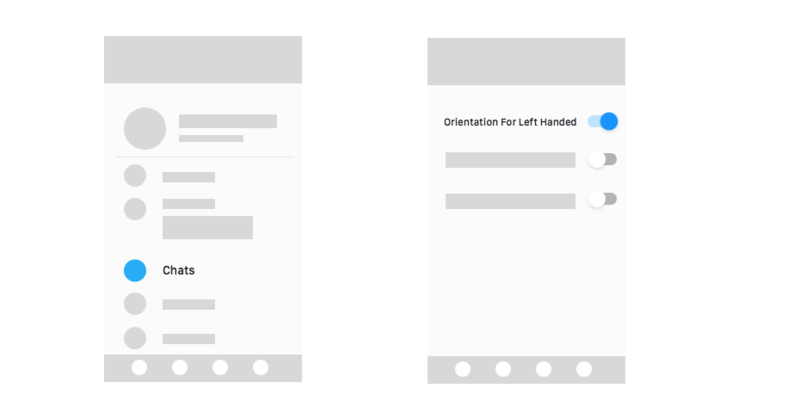 In this case, our UX philosophy of total inclusivity results in a revolutionary feature for left-handed people. Thus, Zangi can become a primary tool for left-handed oriented people who will find greater comfort in using our app. The common activity of texting, which is usually standardized for right-handed oriented people, is an experience so common but hardly improved upon. To stand out against the big guys, one needs to offer the user something they would never expect to be such a useful upgrade and catch them by surprise. This left-handed orientation is even more popular and necessary for languages who write and read from right to left. Arabic speaking countries, for example, can have a unique messenger experience which will feel natural. Download Zangi Messenger to see how this left-handed option plays out in our app. 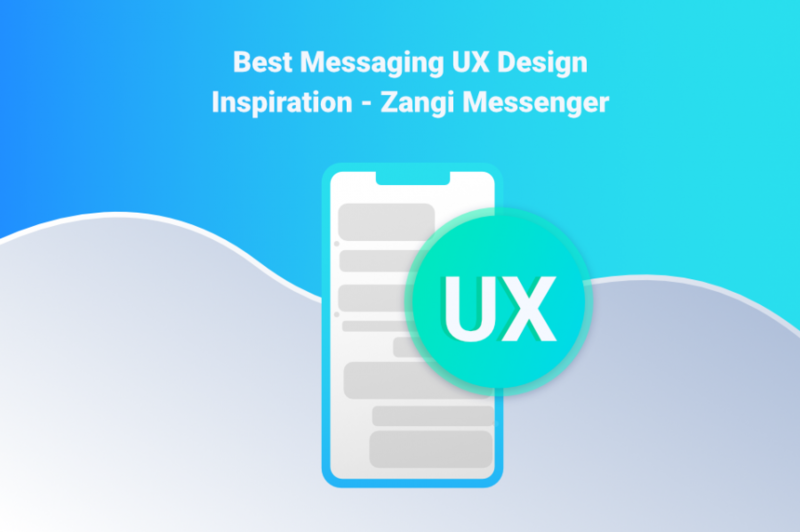 Since Zangi offers its messenger platform as a white label product for companies interested in a communication platform (like slack), companies who write right to left will find Zangi’s UX most suitable. Zangi privacy options give you control of your privacy and security. To increase the feeling of safety and control of how others see you, giving users a separate section for privacy with all the related account privacy sections gives users peace of mind. And when users feel safe, and know that they can control even the smallest details such as online status, typing, “seen” status and more, they feel assured that they can use the application and communicate without the slightest doubt or fear. Full privacy not only covers security of messages but also includes privacy of activities and statuses you have on the messenger. Some people find the need to hide their statuses or to block certain people because they don’t want others to know about their whereabouts or activities as it disturbs them from continuing it freely. Some people want to give priority to answering questions of really close family and friends without others realizing it. Some don’t want to show how long they’re on the app, how long they type, or whether they’ve ignored a message or not, and they want to easily block those that are ruining their app experience. Listing all these options and providing them all in an easy-to-access place is a great way to show that the app truly cares about and has thought of all possible privacy aspects. We provide the tools for self-messages, with the usage of the word “personal” which further emphasizes security for users. 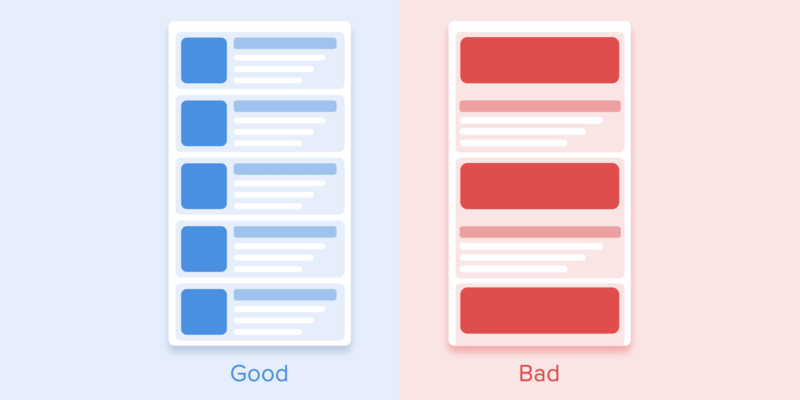 Having a separate section for this stresses the exclusivity and importance of the section, making users interested and keen on using this section to message themselves. 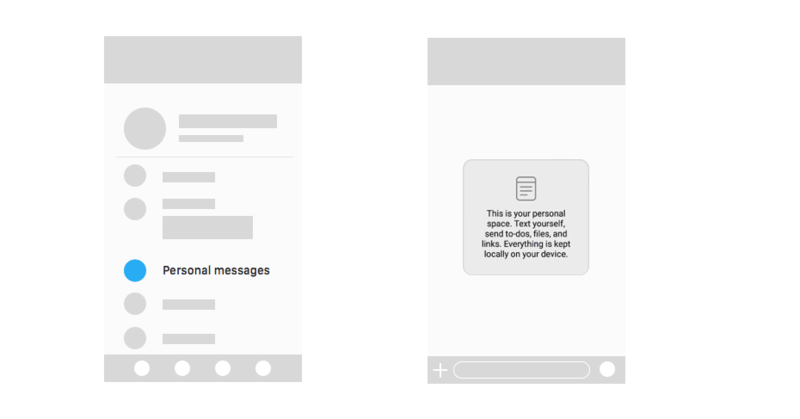 The text box that appears in the middle of the messaging section, before you start your first message gives users a short description and idea of everything they can do with this section and security is emphasized as well. The to UX design prototypes here are 1) When you first start Zangi and don’t have any chats yet 2) When you first start a chat with someone. The first prototype is not just empty but gives users a direction as to what is missing and what they should do next. The second prototype is a message box that emphasizes security, with a shield icon and keywords such as “encrypted, “not stored on servers”. 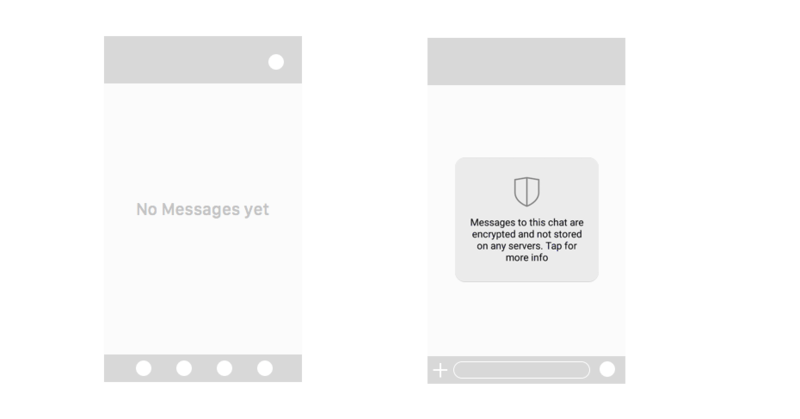 The user accessing the chat will automatically feel secure that no one has access to his/her messages, and so he/she can communicate freely.